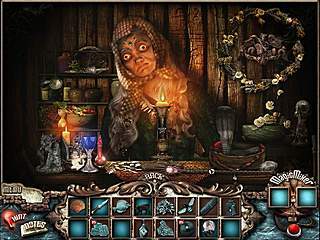 Most of the time the games from the hidden object/adventure genre tend to be full of mysterious events and creepy scenes. Tearstone is like a harmless version of that. You do meet different characters, some of which are dangerous, and you are involved in some kind of mysticism, but it is not scarry at all. So you get to play a friend of a professor. The professor is up to something, some great discovery that he found in the tearstone. You are going to join him in this journey. The story is fun. It might be a bit disappointing for those looking for some murder and FBI investigation. It will definitelly fit for kids because it reminds some fairytale. The graphics are not the best ever, but they do their job very well. All of the inside and outside locations do look attractive and bright or dark if the atmosphere requires. 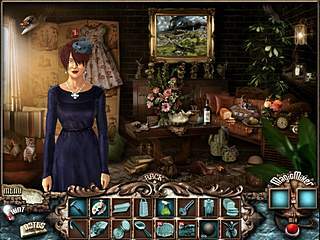 The gameplay is a mixture of hidden object searches and interactive adventure. You are going to be given a list or rather the images of the items you are to find. They get colored as you find them. Some of the items are to used right away. Others - later. There are also such thing as Magic Mixer. This thing is the way to get other things on your list. And you do it by placing two items in it to receive something else. 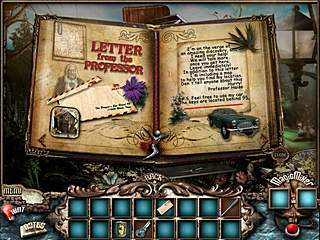 There are also different kinds of puzzles along the way. They are short simple and fun, too. The game gives you tasks as you progress, which is very helpful in case you can't figure out what to do just from the things around you. All in all, the game is pretty challenging and addicting. As I mentioned before, it is light and enjoyable, rather than dark and creepy, which is a great for an afternoon time killer. This is Tearstone for Mac review. Download this game here.